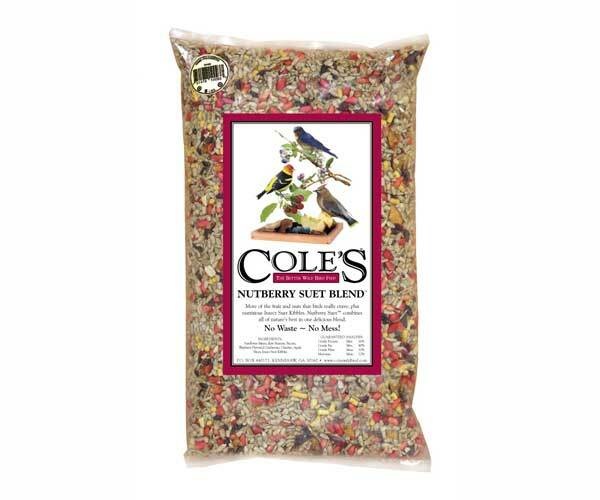 Fruit Berry Nut Seed Log 72 oz. 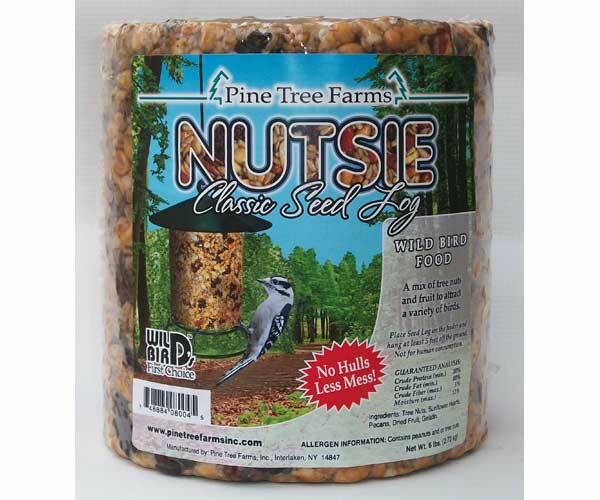 Nutsie Seed Log 96 oz. 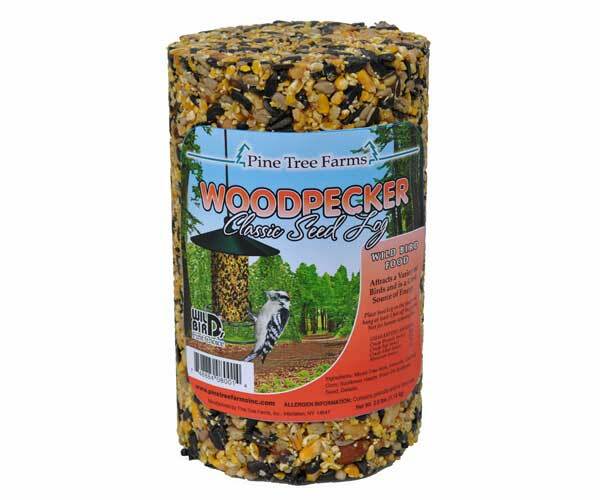 Woodpecker Seed Log-40 or 80oz. 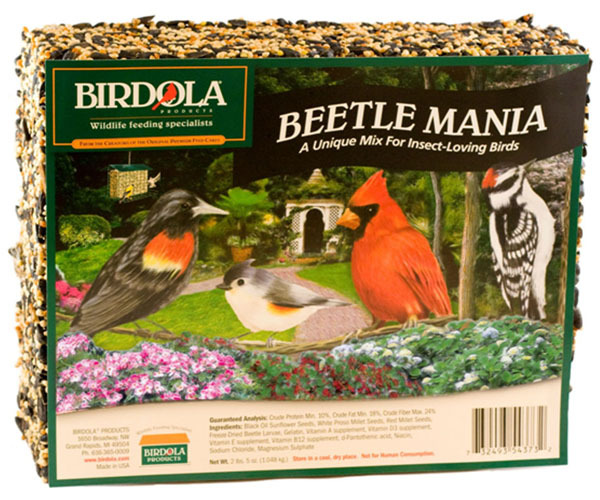 Sunflower and millet seeds with freeze dried beetle larvae for insect loving birds. 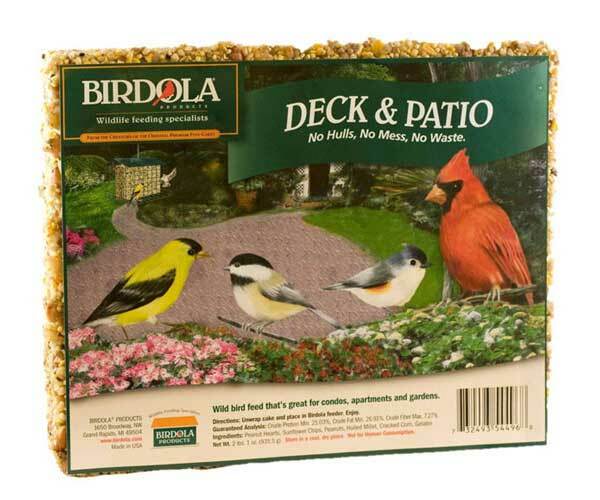 Fruit and nuts plus nutritious Insect Suet Kibbles. 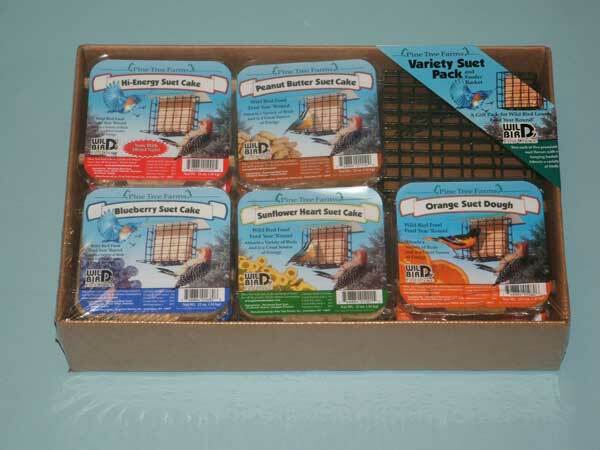 Nutberry Suet combines all of nature's best in one delicious blend. 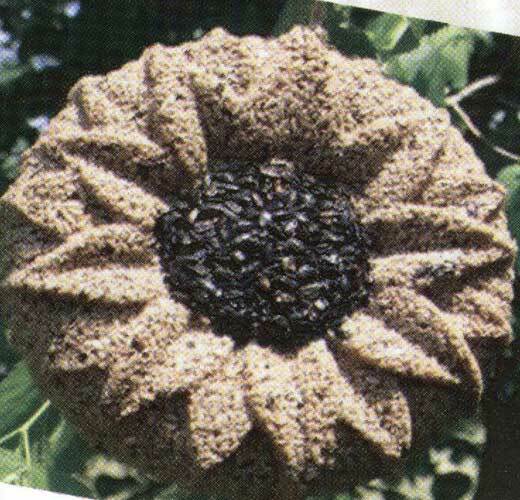 Hung from a tree to attract birds, this sunflower shaped seed cake wreath is a beautiful decoration that provides a great source of energy for your feathered friends! 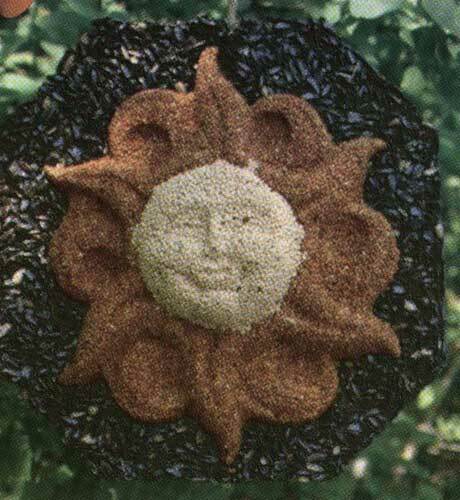 Dimensions: 3" x 10.5" Dia. Dimensions: 3" x 10" Dia. 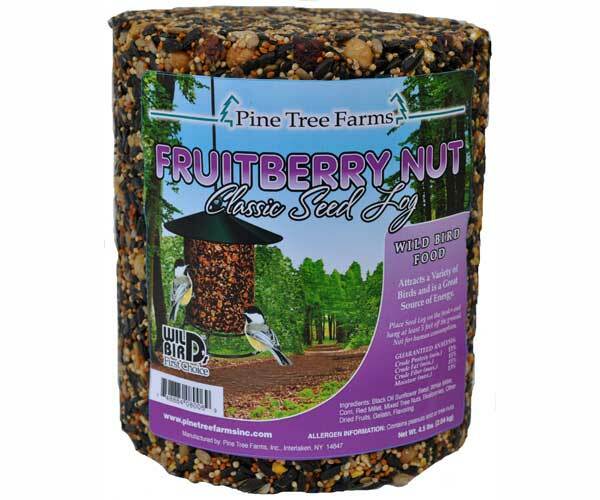 Hang in your yard to attract a variety of birds, this suet by Pine Tree Farms is a great source of energy for your birds, year round! 5% frt west of Rockies Brick and Mortar stores only. 5 different flavors: Hi-Energy, Peanut Butter, Blueberry, Sunflower Heart & Orange.